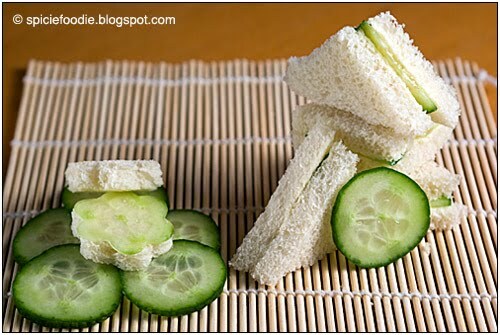 Cucumber Sandwiches are a light finger food traditionally served at the British afternoon tea. Afternoon tea is a light meal or snack that was traditionally served in the afternoon or early evening before supper. 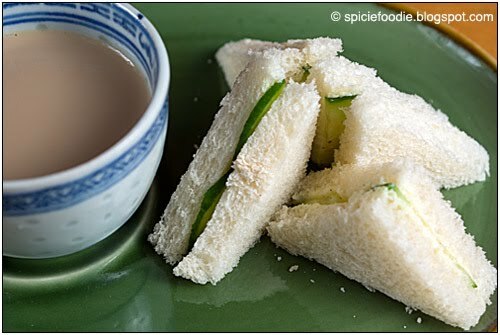 Traditionally tea is served along with small snacks such as scones, cakes, pastries, and light sandwiches like these cucumber sandwiches. 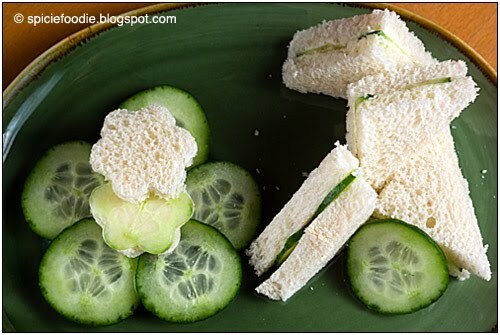 If you do a quick search on cucumber sandwiches you will come up with a wide variety of recipes using all sorts of spreads and breads. But I am showing you the traditional and true “British Cucumber Sandwich”. So no fancy spreads or over the top ingredients. First make sure you have good quality fresh soft white bread, then try to get your hands on an English cucumber. English cucumbers are longer and skinnier than garden cucumbers. These are also the best cucumbers to use because they have thin skins, very few if any seeds, and you don’t need to peel them before you can eat them. At my local vegetable market they always come sealed in plastic , it apparently gives them a longer shelf life. 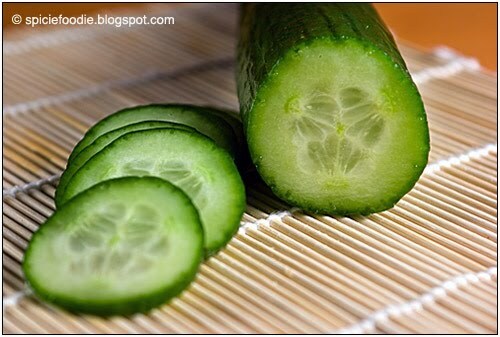 If you can only find garden cucumbers peel and remove the seeds first. 1. Slice your bread into thin slices, if you are using commercial pre-sliced bread try to get thin sliced loaf. Cut the crust off all four sides. Next spread the butter as lightly as possible but covering the entire bread slice. 2.If you want to remove the peel off the cucumber do so first, otherwise rinse the cucumber. An optional thing to do is using a fork score it by running the fork down the top of the cucumber. This will slightly puncture it and leave a nice pattern. Next slice the cucumber as thinly as you can , place the slices on top of a paper towel to soak up some of the extra liquid. Keep slicing as many slices as you need or want. 3. 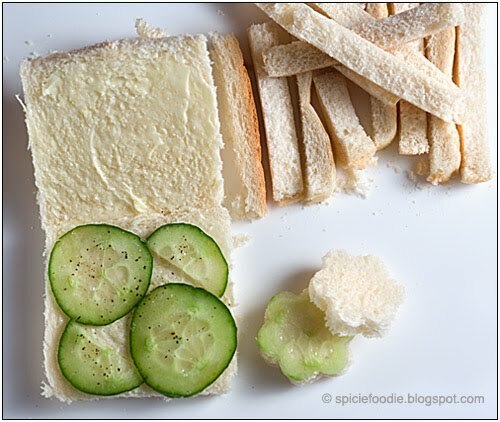 Sprinkle cucumber slices with a little salt and ground black pepper (if you like), arrange them on top of the bread. I like mine with a thin layer of maybe 2 or 3 slices stacked, it’s up to you. Place another slice of bread on top the bread. 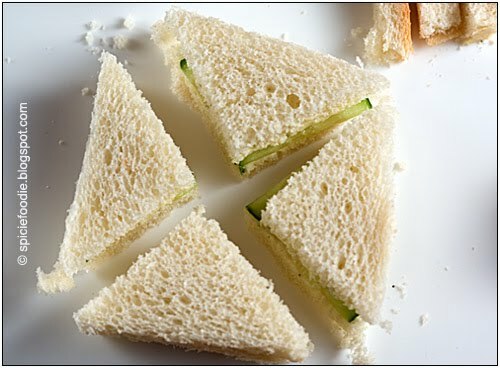 Slice the sandwich diagonally two times to create four triangle shapes. Repeat these steps until you have all the sandwiches you want or need. 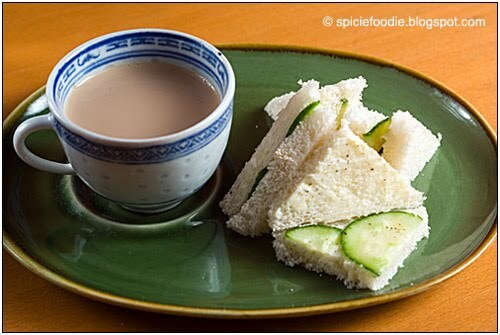 Serve with tea (English style which is brewed black loose leaf tea and milk. 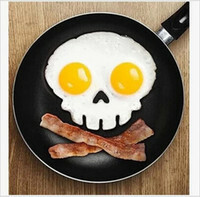 ), and enjoy! Nutritionally wise we may not get much from cucumbers, but they are so good and refreshing. The perfect in-between meal snack, or in my case these sandwich makes a perfect light lunch. These are so simple and your right they are light. We made these for Girl Scouts for World Thinking Day when we were talking about the Girl Guides from England. I do love a good little cucumber sandwich…with a little fresh dill, they're great (that's probably not traditional, but it's good! ).